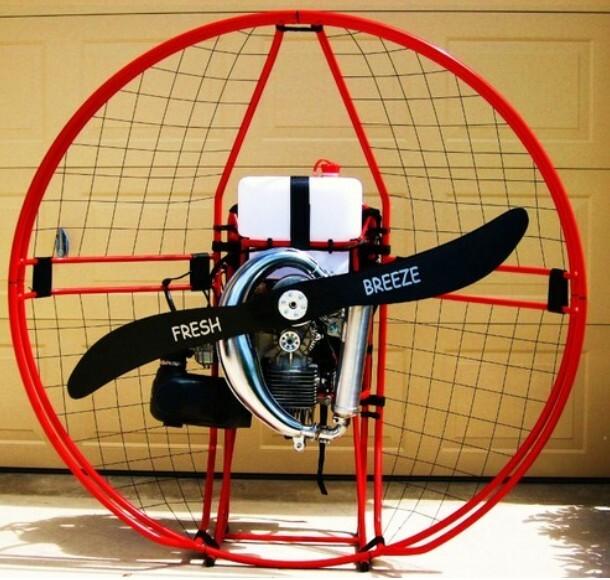 The German engineered Fresh Breeze Simonini Motor Unit will fly a pilot up to 250 lbs. The 2010 Fresh Breeze Simonini 122 sold for US $1,500 - 1,700. 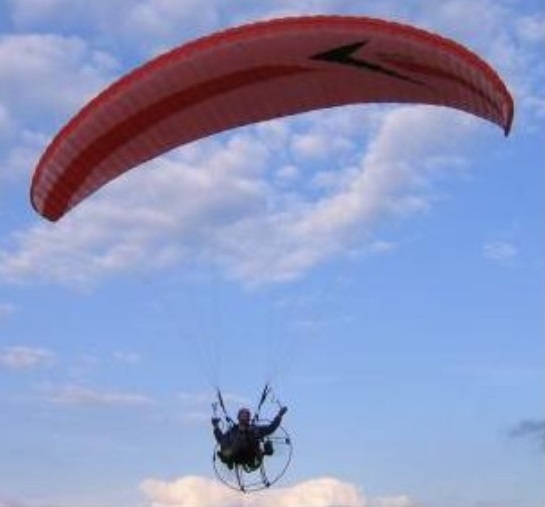 This paramotor is extremely versatile. It can be used for foot launched flight for heavy pilots. Comfort bars under the arms increase the seat comfort particularly on long flights. Vibrations felt by the pilot are noticeably decreased. Movement of the engine on pilot's back are greatly reduced. Fast assembly without tools through Quickpin and Velcro. The position of the starter knob makes restarting the Simonini very easy. Now, you can specify a Double ring cage (DRC) instead a standard One ring cage (ORC). The fuel tank allows flights up to 3 hours. Aluminum cage & frame or choose high strength, light weight titanium with aerodynamic formed tubing for reduced air resistance (add $500). Standard as pull start - optional electric start with alternator - charging the battery while the engine is running. Now standard with the new improved performance Scimitar propeller.